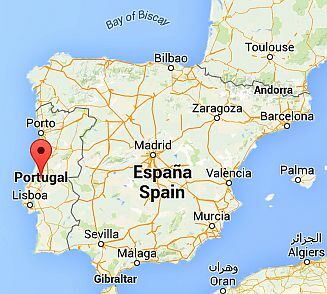 The climate of Fátima, Portuguese town located north-east of Lisbon, at 300 meters (1,000 feet) above sea level, is Mediterranean, with mild, fairly rainy winters and hot and sunny summers. The climate data are taken from the nearby town of Abrantes, whose temperatures are similar, but being located in the plain and a bit further from the sea, in summer it's a bit warmer than Fatima, at least during the day. Precipitation amounts to about 600 mm (23.5 in) per year. The rainiest period is from October to March; in summer, it almost never rains. Here is the average precipitation. Winter, from December to February, is mild, but also quite rainy. Very cold days are rare, although sometimes at night the temperature can drop to freezing (0 °C or 32 °F) or a little below. Spring, from March to May, is mild; it's initially unstable and rainy in March, and gradually becomes more stable and sunny. Summer, from June to August or mid-September, is hot and sunny; given the proximity to the ocean, here summer is not as hot as in the cities that are located in the interior, near the border with Spain. Sometimes, however, it can be very hot, with highs about 35 °C (95 °F). Autumn, from mid-September to November, is initially warm and sunny, but over the weeks it gradually becomes milder and wetter. The amount of sunshine in Fátima is great in summer, when blue skies prevail, it's good in spring, while it's only decent in autumn and winter, when cloud systems due to disturbances from the Atlantic Ocean pass quite frequently. 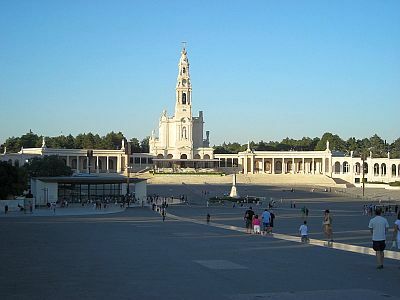 The best time to go to Fátima is spring, in April and May. Summer is a good period, but sometimes it can be definitely hot. September is a good month, although sometimes it can be hot, at least in the first half. In October, temperatures are pleasant, but the rains begin to become more frequent.